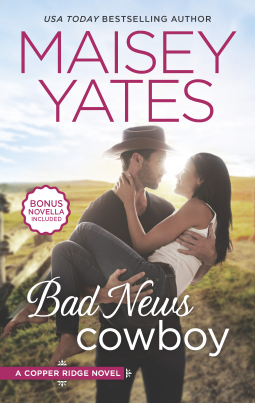 Donna Alward is one of Miss Bates’s favourite category romance writers, How A Cowboy Stole Her Heart one of her favourite romances. Miss Bates has reviewed wonderful Alward roms, including 2014 fave, Her Rancher Rescuer. 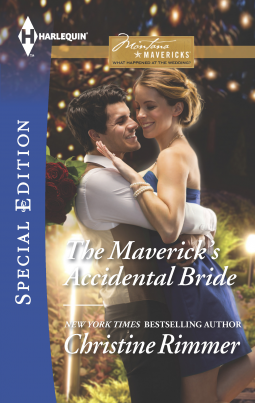 In The Cowboy’s Convenient Bride, Alward tackles a contemporary marriage-of-convenience romance. It’s spring in Gibson, Montana, and ladies’ man Tanner Hudson is “sick of the bar scene”. Tanner’s wife left him, claiming he was “built for fun, but not for a lifetime.” Since then, he hides his yearning for love and commitment behind a loose-and-free persona. Laura Jessup is town pariah because she slept with Gavin, golden-girl Maddy Wallace’s husband. Gavin died and Laura is mama to four-month-old Rowan, apparently Gavin’s daughter. Appearances are deceiving, however, because Gavin was a friend, offering his lawyer-services to help Laura extricate herself from drug-dealing boyfriend Spencer. Spencer was in jail when EMT Tanner helped Laura give birth: ” … she vaguely remembered pleading with him to stay with her. She’d felt so alone, so afraid, so … adrift”. Laura breaks down and tells Tanner the truth, also confessing she fears Spencer discovering Rowan and pursuing them: “If Spence ever found out that he had a child … It would be nothing short of a nightmare.” Kind, chivalrous Tanner offers Laura a marriage-of-convenience to protect Rowan and allow Laura to establish her online website design business using Tanner’s name. 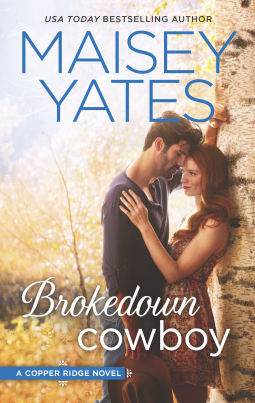 Tanya Michaels is a new-to-Miss-Bates author, with titles in the TBR, including A Mother’s Homecoming, an interesting riff on romance’s “bad mom” as heroine. Falling For the Sheriff is first in Michaels’ small-town-USA series, Cupid’s Bow, Texas. Miss Bates had her trepidations with a cutesy town-name like that, screaming love-cupid-arrow, all the obvious. But Michaels’ novel proved to be more than cutesy, with its lower-middle-class protagonists, whose lives as single parents, though comfortable, require cheque-book balancing and caution spending. 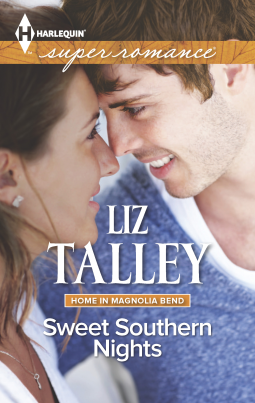 Kate Sullivan, widowed elementary school piano teacher, and Cole Trent, town sheriff, are parenting a thirteen-year-old son, Luke, and five-year-old twin girls, Alyssa and Mandy, respectively. Reading Victoria Dahl’s Taking the Heat means taking the heat. To a love-scene-shy reader like Miss Bates (what else when you’ve lived in a Jane Austen novel? ), Dahl’s raw love scenes stand in contradistinction to Miss B’s sensibilities. But Dahl convinces in the best way possible: intelligently, using love scenes to reveal character, show growth, and develop a relationship from superficial fun to emotional stakes that come with vulnerability and openness to the Other. Taking the Heat follows from the thematic concerns we saw Dahl work through in the novel that precedes it in the Girls Night Out series, Flirting With Disaster. There’s no doubt Miss Bates loves category romance. She believes that in its modest and succinct form lie the genre’s treasures. Many a great (Nora Roberts, Sarah Morgan, to name only two) longer-length rom-writer has her start here – and many a rom-reader, like MissB., often yearns for her return. Category romance is the sonnet-form of the genre, circumscribed and specific, its potential for going from formulaic to treasured a mere trope away. 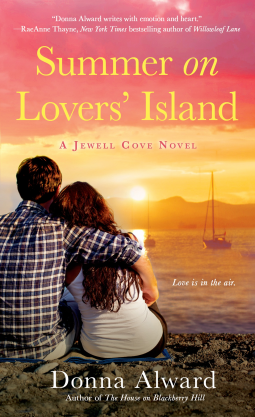 Linda Goodnight is probably best known for writing inspirational category romance fiction. 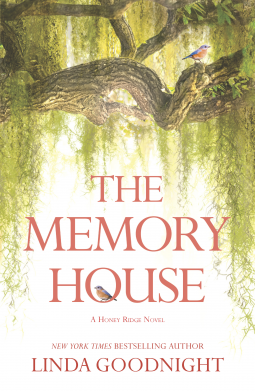 The Memory House, first in the Honey Ridge, Tennessee series, isn’t inspirational, though it contains similar elements and themes, such as how the past bears on the present, memory and its hold on the psyche, prodigality and redemption, grief, loss, joy, and love. It’s also a deviation from Goodnight’s category norm in carrying two narrative threads, one contemporary and the other, historical. Goodnight orchestrates these various components with relative success, making the “memory house,” a restored antebellum mansion now a present-day B&B and its peach orchard the focus of the dual narratives/romances.